Toms River has an impressive number of new and used auto dealers, many of whom have been serving the Jersey Shore for decades. A quick drive down Route 37 reveals dealerships providing many different makes and models. 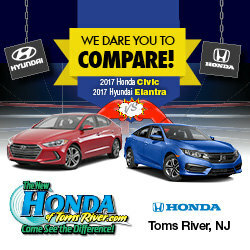 Whether you are looking for a car, truck, or SUV, you are sure to find a vehicle to suit your needs at a dealership in Toms River.